Back in 1996, I was introduced to ANCDS as a young PhD student by Dr. Terry Wertz. He spoke to me about how important it was for me in order to develop as a scholar and a clinician to be part of this group. I followed his suggestions, and I value him as my mentor in my professional career. I attended my first ANCDS meeting in Boston in 1997. I was thrilled in this first meeting to be in the same room with all these people whose work I had been reading, and I learned so much from the fascinating discussions and interactions. Thank you to Dr. Wertz – I still value today this important introduction, which has played an important role in shaping my career. After my first meeting, I returned to the scientific meeting almost every year. I have met great people, learned so much, made friends, and through the years it was my reference point for meeting people in the area of acquired communication disorders. I became a member, and I was among the first of the international members of the Academy. As the years passed and my career evolved in the academic world, I have always spoken to my students about my experiences attending the meetings and being part of the Academy. I have used its resources in my teaching and always introduce it to my students in my first class of the semester as a resource where they can find information. In Greece, as in most of Europe, SLPs get a license to practice after successfully completing a Bachelors Degree. Recently, in my department we have developed a postgraduate interprofessional course in Rehabilitation Sciences of which I am the director. The course has core modules attended by SLPs, PTs, and nurses, and the specialized field in acquired neurogenic communication disorders are attended only by SLP. We achieve interprofessional education, but also in-depth research training for the SLPs, so this was a great opportunity to introduce this core group of students to ANCDS. I wanted them to be exposed to this meeting as I was years ago, hoping to influence their learning, keep them motivated, and also to interact with researchers, scholars, and clinicians to enhance their capabilities for further development. 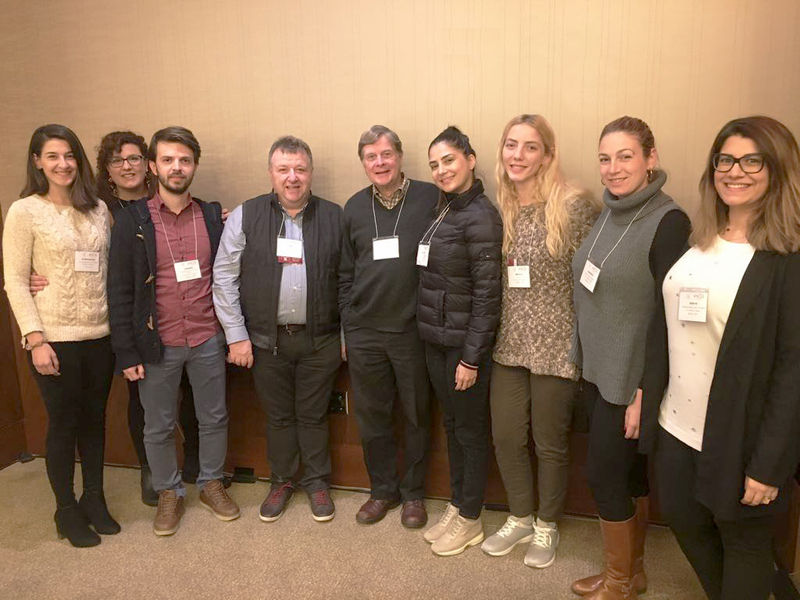 They already had some teaching by international invited faculty, which I want to extend thanks especially to Jerry Hoepner, Fofi Constantinidou, Gerasimos Fergadiotis, and Chad Nye. So from last May, we started planning our trip. ANCDS has the great fellowship awards program, so I was excited to arrange something similar for our students. I contacted the ANCDS president and the visit was arranged. What did you enjoy the most about attending the ANCDS? "Although ANCDS had many highlights, one of my personal favorites was the people. We got to meet so many SLPs from around the world and most importantly some of the 'legends' of our field. Getting to know the people behind the books and papers that we read, and seeing how approachable and kind they are, was truly amazing. Discussing ideas and principles with the mentors was definitely on top of the list of highlights of the day." "I feel lucky, because it was a unique experience. I had the chance to meet plenty of great people, by whom I got inspired." How would you describe your overall experience attending ANCDS? "I think I speak on behalf of all of my classmates in saying that the whole trip was an eye-opening experience. ANCDS set the tone for the following days and gave us an opportunity to meet interesting people and to get to know how SLPs work in the US. Also, seeing what ANCDS has contributed made us want to help out too! We will definitely be back in the coming years." "We met eminent and important people in our field with whom we had lunch and shared, in particular, issues related to the approach of patient assessment and rehabilitation in the various therapeutic settings in the US, who were also very eager to solve any of our queries. 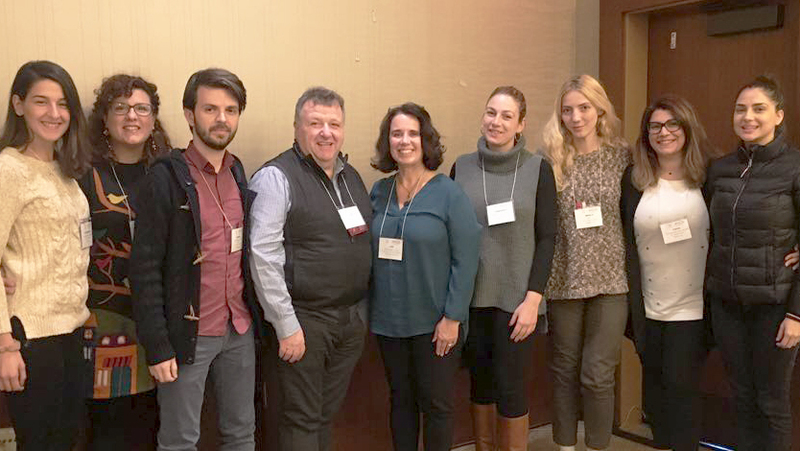 We were impressed by the directness of the organizers and scientists, but also the friendly attitude with which they welcomed us and included us at this annual meeting, as well as the mention of our presence during the morning welcome." Were there any talks that were of particular interest and why? "All of the talks had something to offer. Even though some did mention things we already knew, it was of great interest to find similarities in the way we work here in Greece and in the US. Also, the final presentations showed some interesting features about integrating technology in our research and therapeutic process, making everyone who was listening realize how we haven’t fully explored its full potential. Personally, I found interesting the discussions and brainstorming all of the presentations inspired. I gained knowledge about my profession due to the discussion after each talk." "The data of the research studies presented were very important and kept our attention throughout the day. Both the presentations related to the functional reorganization of the language system in aphasia to understand the recovery and the integration of learning through technology for rehabilitation highlighted the very interesting work that has taken place. Also, the presentation on the voice and speech of patients with Parkinson’s Disease pointed out the importance of treatment to improve speech. Finally, one of the most interesting talks that I personally have ever heard was the one on 'Speech Analysis for Medical Diagnostics - From Senses to Sensors'. It was a multidimensional talk, which was a fascinating walk through the complexities of diagnosis and treatment of speech motor disorders, and the potential roles of technology in tackling these issues." Share your experiences with other ANCDS members. "Every single person that we met was generous and kind, from the ANCDS administration to the attendees. Everyone answered our questions truthfully and seemed as excited to meet us as we them. Meeting people like Julie Wambaugh, Jerry Hoepner, Heather Clark, and Joe Duffy, and seeing how wonderful and humble they were, gave us a new perspective. It was an overall amazing experience and hopefully we’ll be back again next year!" "It was a unique opportunity to be able to ask specialized questions to our mentors, so now I have expanded my professional knowledge and enriched my skills." Special thanks to Julie Wambaugh, the Board, and Jessica Brown who have been great and worked with me on this plan. Jessica was absolutely fantastic organizing some volunteers who had agreed to interact with my students. Myself and my students are grateful to Heather Clark, Janet Patterson, Peggy Blake, Melissa Duff, Meghan Savage, and Heather Coles for making the effort and the time to interact with them and share your knowledge and expertise. You have made this day for the students unforgettable!